Ranjan Sharangpani’s tennis coach applauds his racquet skills, applauds his knack for pounding shots from the baseline and applauds his knack for racing to the net to put away game winners. 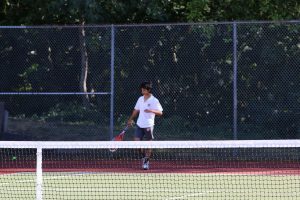 Without question, Ranjan, a junior at Capital High School, has got skill on the tennis court. But what made Ranjan league and district champ and undefeated heading into the state tournament isn’t just his skill. It’s his desire. Ranjan doesn’t just let his skill win for him. He’s a kid who wins because he’s got the skill and he’s got the desire. Ranjan, who Alongi ranked as one of the top tennis players to ever play at Capital, never lets up, which helps explain why he never even lost one set all season. That’s 46 sets in a row he won this season, including a perfect 8-0 set sweep at districts. To avoid cockiness, a letdown and a half-hearted effort, Ranjan takes an underdog approach into each match. 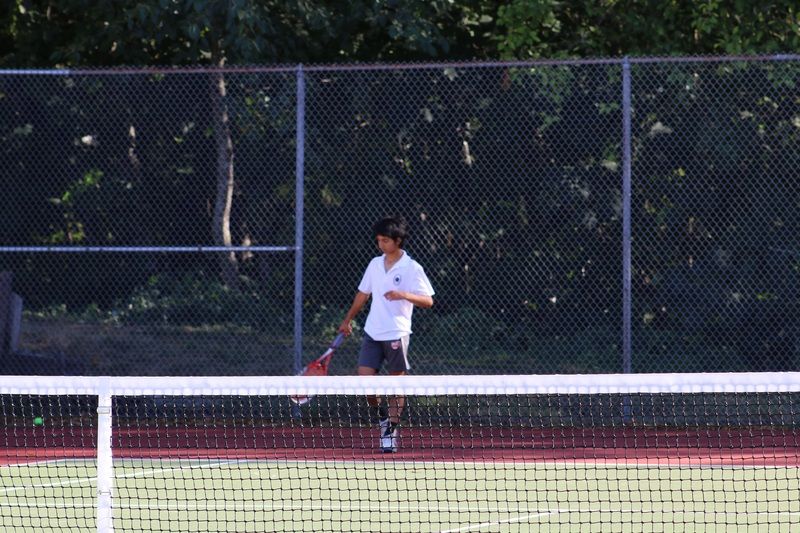 Capital’s Ranjan Sharangpani plays tennis with a no-quit determination. Photo courtesy: Capital High School. Mission accomplished. That underdog mentality wasn’t just a pep talk for two of Ranjan’s teammates. Aiden Short and Ethan Griffith were underdogs for real heading into the 3A district playoffs. Seeded fifth in doubles, they were anything but favorites. But Short and Griffith, Capital’s No. 3 doubles team all season long, came up big and advance to the 3A state tournament. Underdogs came up winners. They’re the unlikely winners. 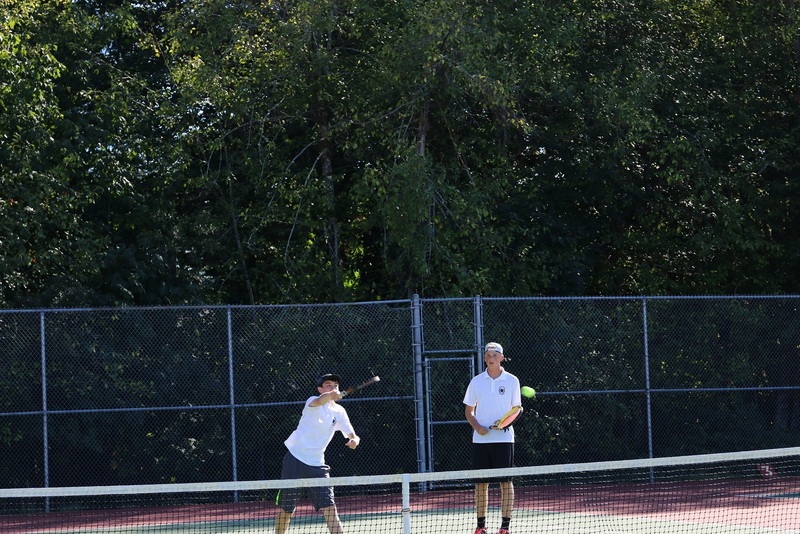 Short is a senior who didn’t start playing tennis until last year. Griffith is a young freshman, turning 14 only two weeks ago. Yet together they’re bound for state. 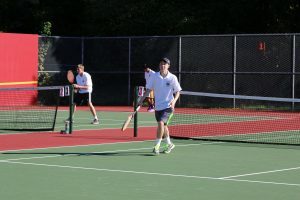 Capital’s Ethan Griffith is only a freshman, but he’s heading to the state tennis tournament which is held in the spring. Photo courtesy: Capital High School. Alongi isn’t shocked. His coaching philosophy is “I think I can.” Believing is the first challenge. To counter the tension, to help unplug the pressure to win, Griffith takes a unique approach to every match. At 5-foot-7, Ranjan isn’t the biggest kid on the court, but he might be one of the quickest and one of the hardest workers. He’s got a favorite hitting partner – his dad, Rajesa. Two to three times a week, dad and son go to the tennis court and hit, practicing their shots. Capital’s Aiden Short is headed to state in doubles. Photo courtesy: Capital High School. Whenever they play a match, Ranjan knows what the outcome will be. “I can beat him,” he said with a chuckle. 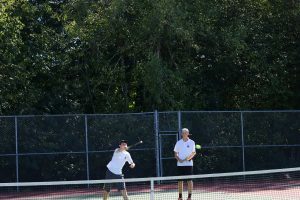 From now until next spring when the state tournament occurs, Ranjan will hit with his dad and also with some friends several times a week, keeping his game sharp. But Ranjan’s hard work with tennis doesn’t eclipse the classroom. He’s a true definition of student-athlete. He’s got a perfect 4.0 cumulative GPA. The last time he got a B on his report card was in middle school. 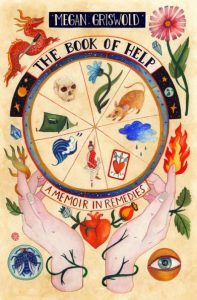 “In high school, I’ve knuckled down more,” Ranjan said. Some day he wants to be a doctor. The medical field is in his genes. 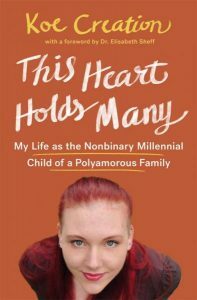 His dad is an anesthesiologist and his mom is a psychologist. “I’d like to do something where I can utilize a lot of knowledge on a daily basis because I’d like to stay sharp,” Ranjan said. That’s the same approach he takes with tennis – staying sharp. Ranjan enjoys playing tennis because it’s a sport where size isn’t always the determining factor. 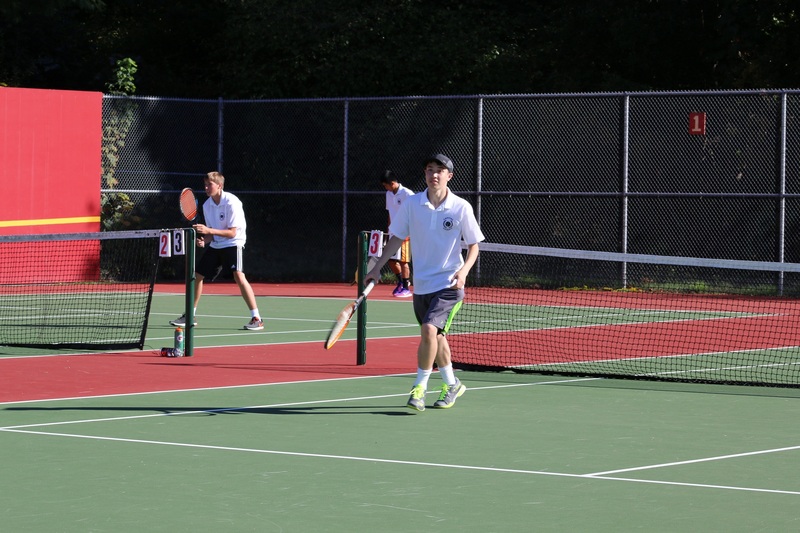 Like Ranjan, Griffith has that no-quit approach to tennis. He is drawn by the sport’s challenge. His strength is his determination. He’s found that the payoff for hard work is success. It’s just another life lesson Alongi makes sure his players learn.